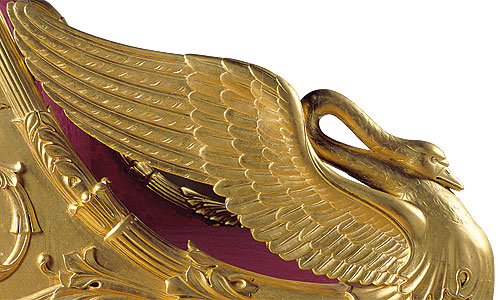 Immediately after he took power in 1825, King Ludwig I embarked on a large-scale expansion of the Residence. 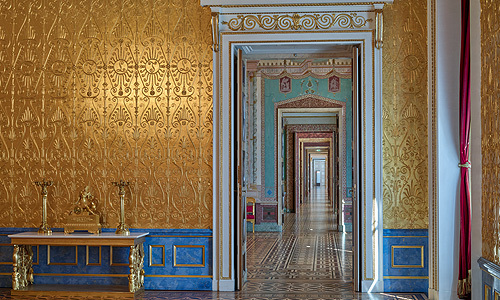 In 1826 the architect Leo von Klenze started work on the Royal Palace, a new residential palace in the south part of the Residence complex. Ludwig's love of Italy and the Renaissance determined the style of the extension, especially the façade on Max-Joseph-Platz, which Klenze designed using elements derived from the Palazzo Pitti and the Palazzo Rucellai in Florence. The new building was completed in 1835. 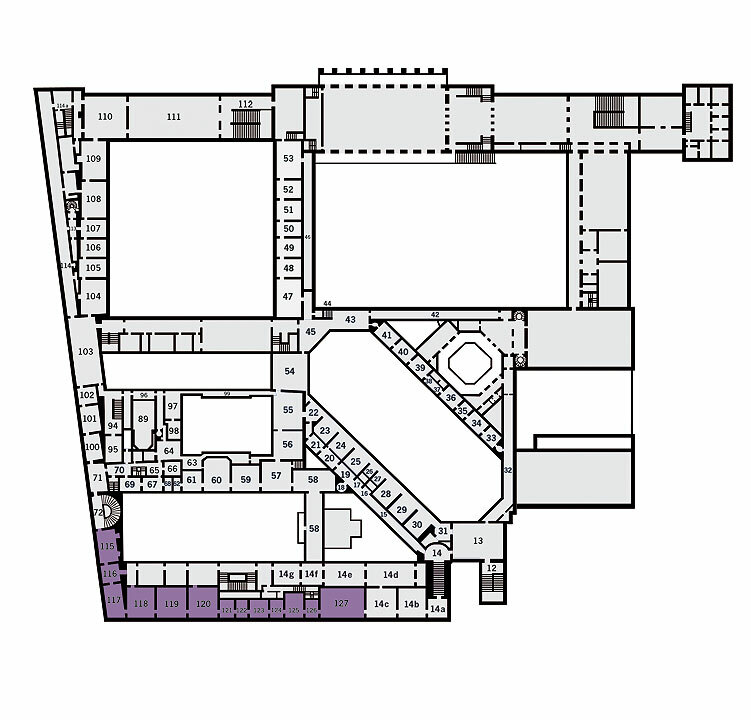 The adjacent apartments of the royal couple are on the main floor. 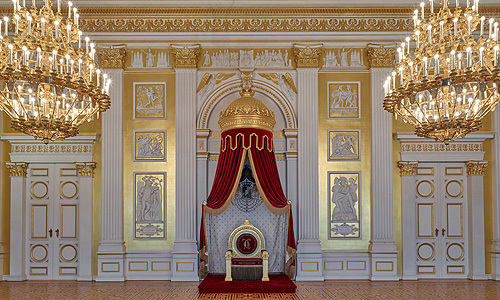 What was new was that the royal chambers were "in full view of the people". 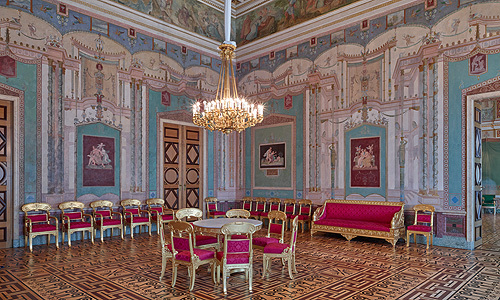 Even during of Ludwig I’s reign, the rooms could be visited during the monarch’s absence! 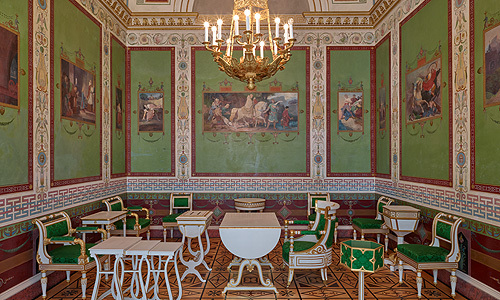 The subjects of the numerous pictures decorating the apartments were also decided by Ludwig. 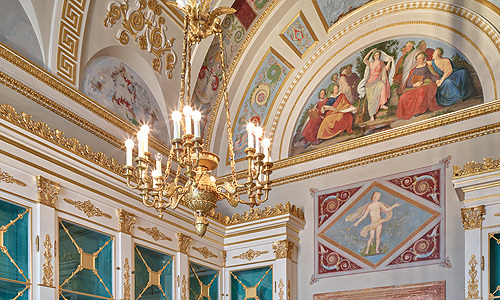 His own apartment features themes from ancient Greek poetry, while the walls of the queen’s rooms are hung with scenes from the main works of great German authors. 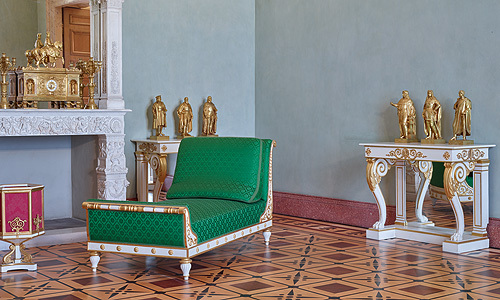 Every detail of the royal apartments, including the walls and the furniture, was designed in a uniform style by the architect of the Royal Palace, Leo von Klenze, the leading exponent of Neoclassicism in Munich. 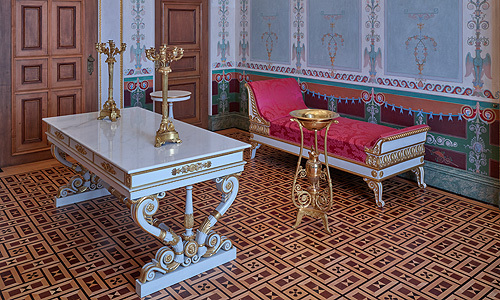 All the furniture was made by Munich cabinetmakers and sculptors in 1834-35. 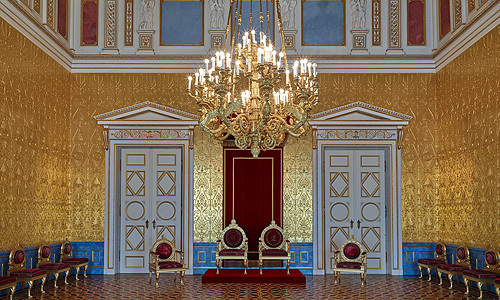 The Royal Palace was severely damaged in 1944, but by 1980 the rooms had been refurnished as they were in the year the building was completed on the basis of an inventory dating from 1835. 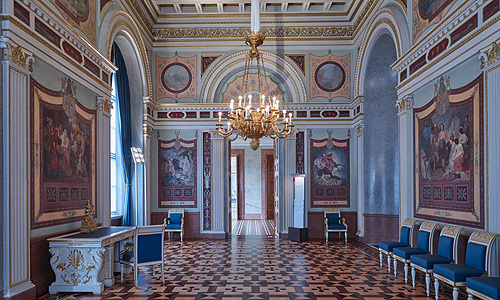 Munich thus regained a unique ensemble of rooms in the late Neoclassical style.